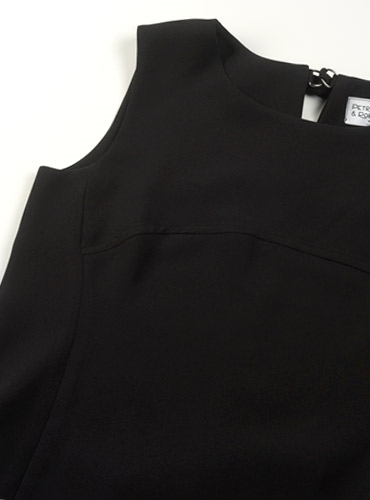 Sleeveless shell top in black crepe. Jewel neckline and keyhole opening at the back of the neckline is closed with a crepe bow. Sizes 6, 8, 10. Shown with our black crepe pants (PRPC-B).